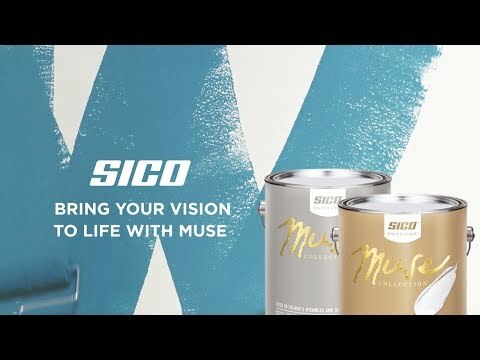 SICO® MUSE™ is our most sophisticated paint yet. Featuring unique TOUCH RESIST TECHNOLOGY™, it provides your colours with longer lasting richness and depth. This 100% acrylic two-in-one interior paint combines a primer and mould-resistant paint to ensure greater durability. Ideal For Living room, dining room and bedroom walls as well as the ceilings of any room. Walls, doors and mouldings of any room as well as small to medium sized ceilings. 3.78 L covers up to 615 sq. ft. 615 sq. ft.